Club wins best stand. 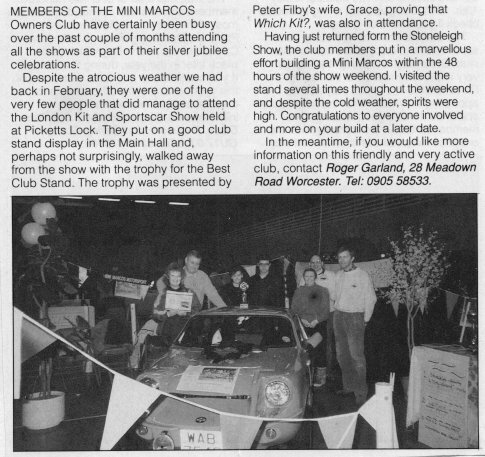 John and Pat Marr (2nd and 3rd from right) with their Mini Marcos. Richard Porter is on the right and would like to be reminded who the others were. 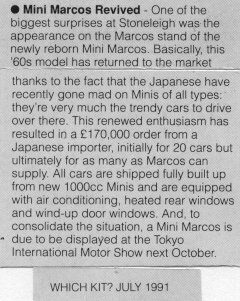 Newsof the Mini Marcos relaunch at the Stoneleigh kit car show.